In order to generalize the results of an experiment to a larger group, it is important to choose a sample that is representative of the qualities found in that population. For example, if the total population is 51 percent female and 49 percent male, then the sample should reflect those same percentages. Choosing a representative sample is often accomplished by randomly picking people from the population to be participants in a study. 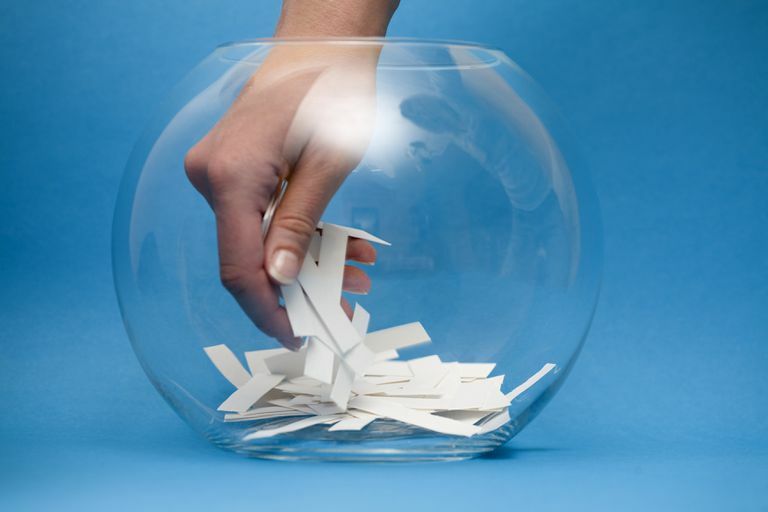 Random selection means that everyone in the group stands an equal chance of being chosen. Participants might be randomly assigned to the control group, which does not receive the treatment in question. Or they might be randomly assigned to the experimental group, which does receive the treatment. Random assignment increases the likelihood that the two groups are the same at the outset, that way any changes that result from the application of the independent variable can be assumed to be the result of the treatment of interest. Imagine that a researcher is interested in learning whether or not drinking caffeinated beverages prior to an exam will improve test performance. After randomly selecting a pool of participants, each person is randomly assigned to either the control group or the experimental group. The participants in the control group consume a placebo drink prior to the exam that does not contain any caffeine. Those in the experimental group, on the other hand, consume a caffeinated beverage before taking the test. Participants in both groups then take the test and the researcher compares the results to determine if the caffeinated beverage had any impact on test performance.